This post was sponsored by our friends at Red Apple Lipstick. 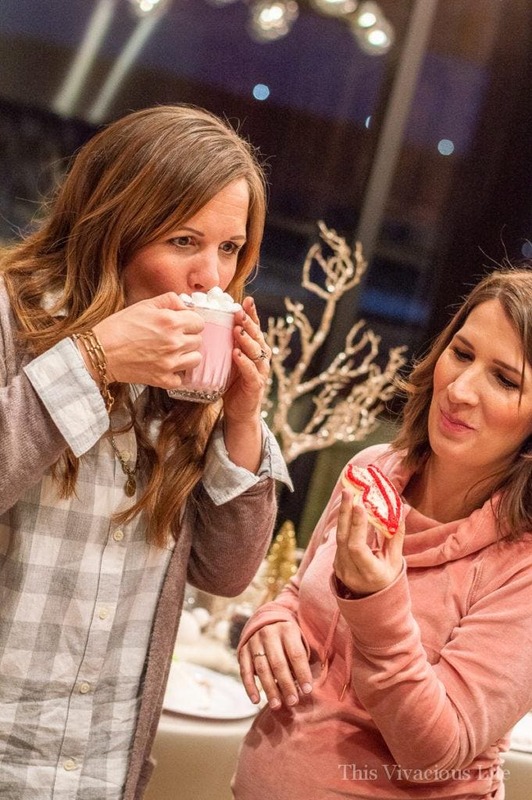 This Jingle and Mingle ladies night holiday party is sure to be a hit! 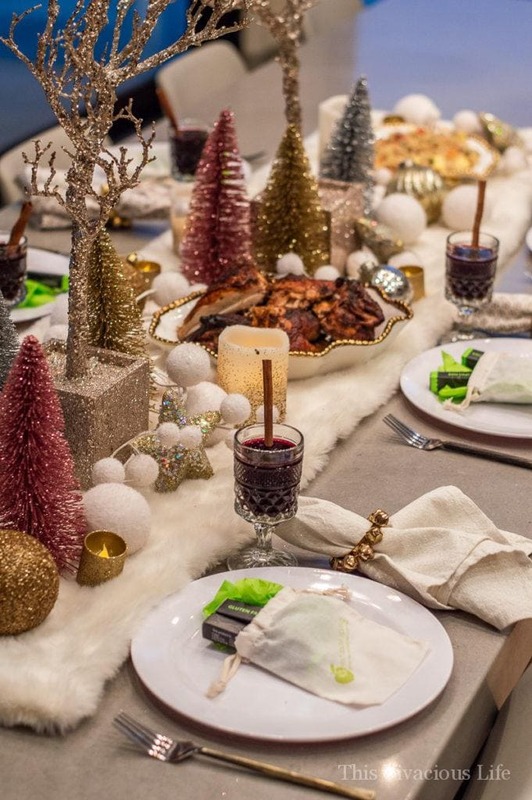 A Jingle and Mingle holiday party is a great way to casually get your favorite girlfriends together for a fun and relaxing night. 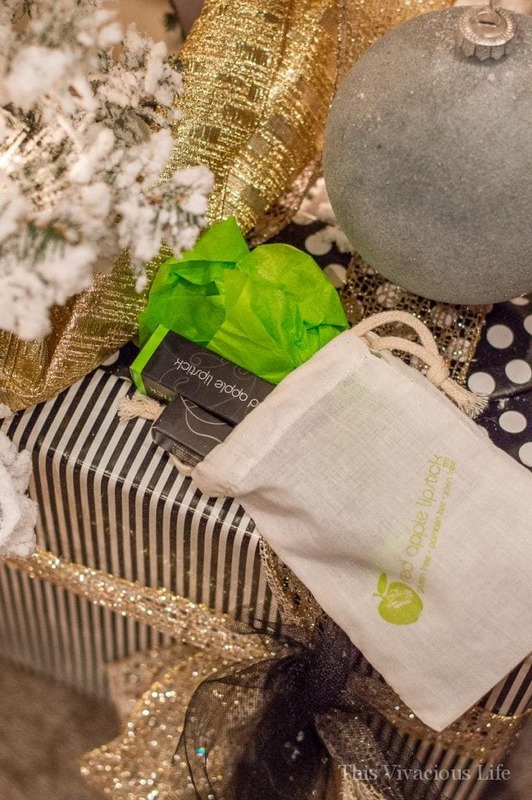 I loved putting this Jingle and Mingle ladies night holiday party together! 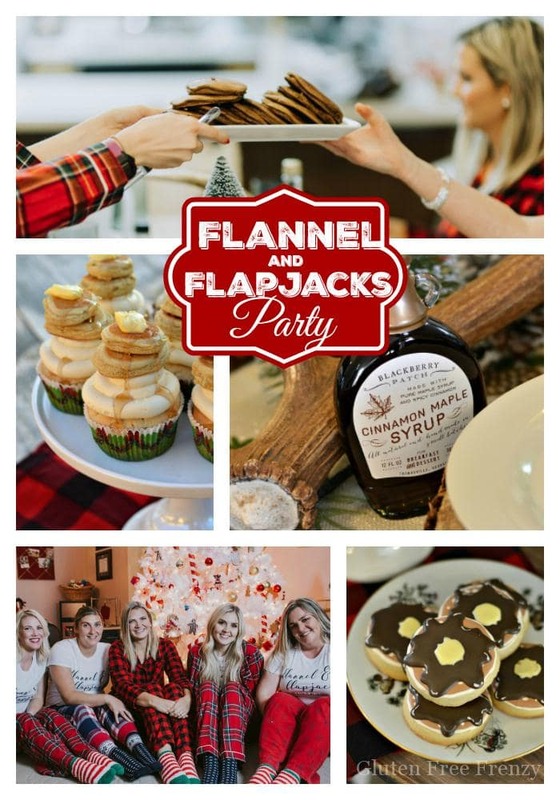 I am excited to show you just how easy it is to recreate for your favorite gal pals too. Plus, we have a delicious gluten-free red hot sugar cookie recipe you guys are going to love!This jingle and mingle holiday party goes away from traditional holiday party colors of red and green. Instead, we focus heavily on soft pinks as well as white, gold and silver. 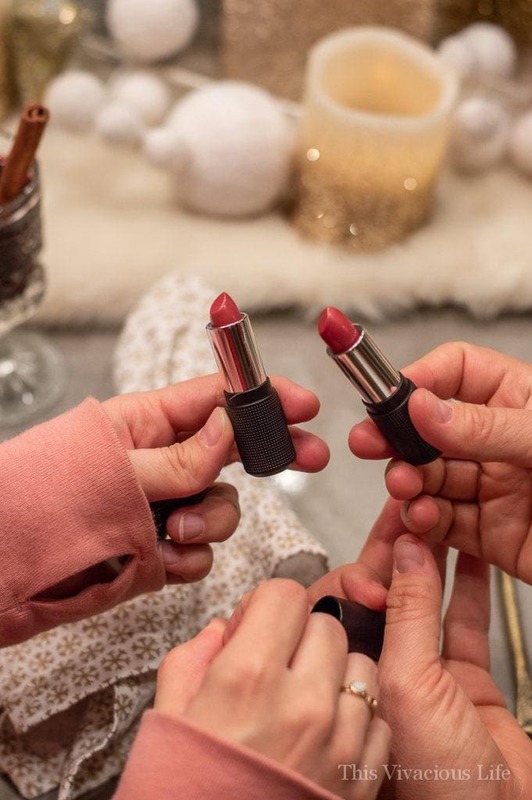 They are the perfect colors for showcasing some of your favorite products and gifts like we do with Red Apple Lipstick. 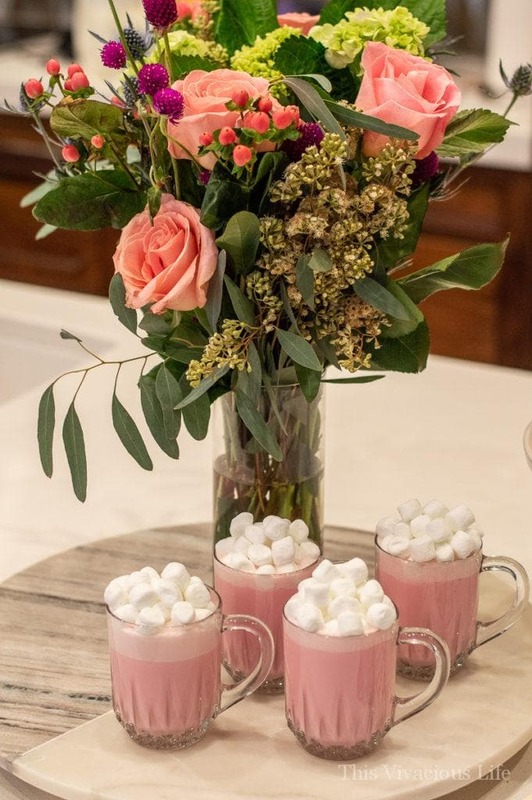 I wanted to serve a hot drink but keep it more girly so I decided on strawberry steamers. They are so tasty, the girls were loving them! Plus, they are simple to make too. I just used Nesquik strawberry powder and heated it up with milk with my hot cocoa maker. Top them off with mini marshmallow and you are ready to go. I always like having flowers at any event because it adds life. 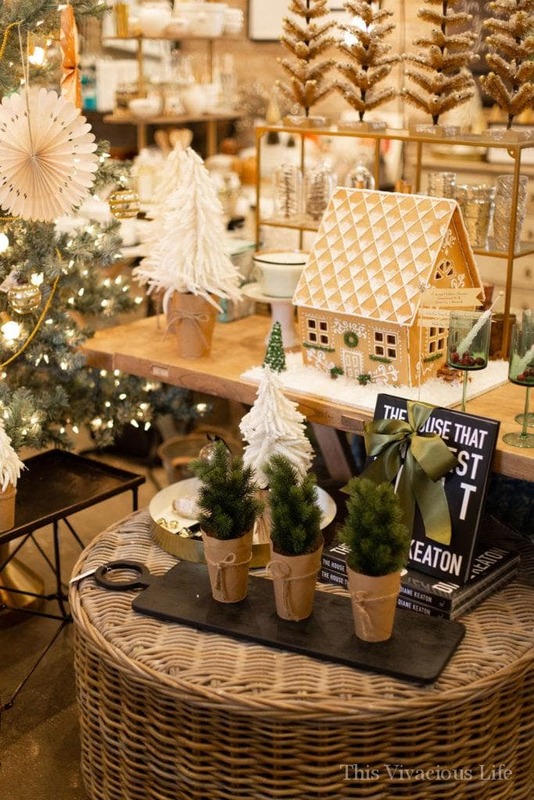 You can keep them minimal during the holidays because of all the other decorations you have. 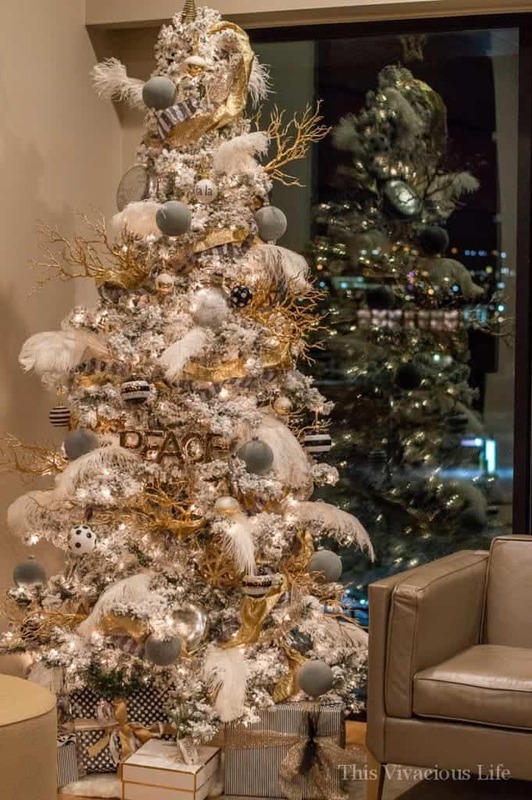 For this jingle and mingle party, I used gold trees that my sweet friend TeRia had on hand. She is such a talented woman and was great with being willing to help me get everything set up. 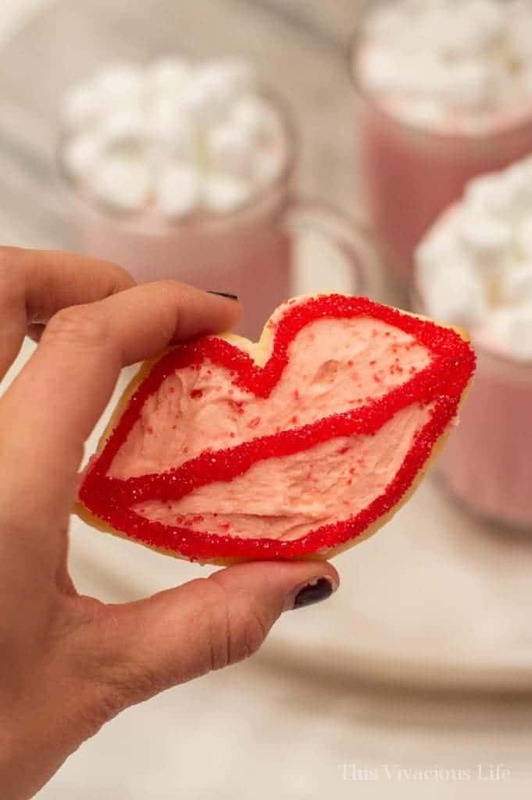 What goes better with pink cocoa than lip sugar cookies right? 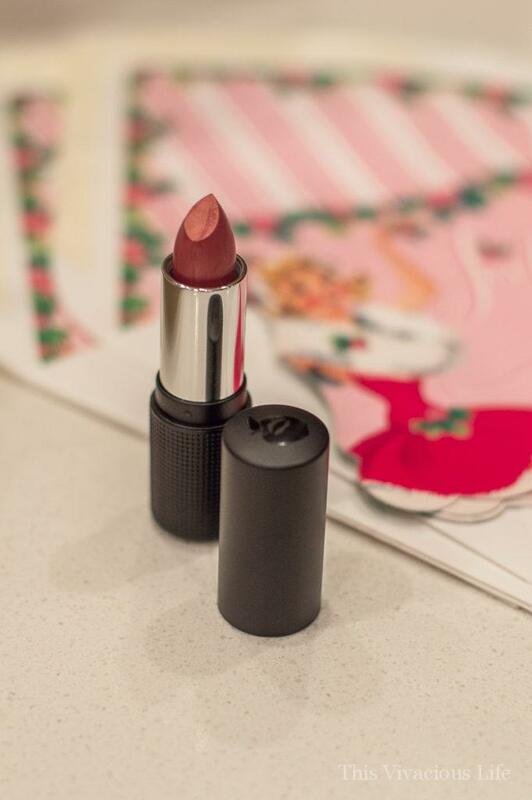 They were the perfect addition to the little gift bags full of my favorite lipstick and gloss from Red Apple Lipstick I gave to each gal. I was so honored when everyone said that they were the BEST sugar cookies they have ever had. Nobody could believe they were gluten-free! 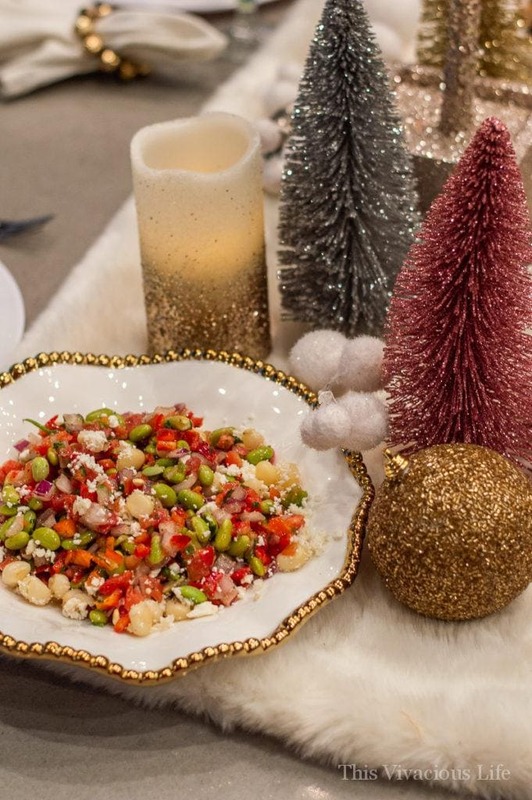 We kept this jingle and mingle table super classy with whites, golds and cloth napkins. 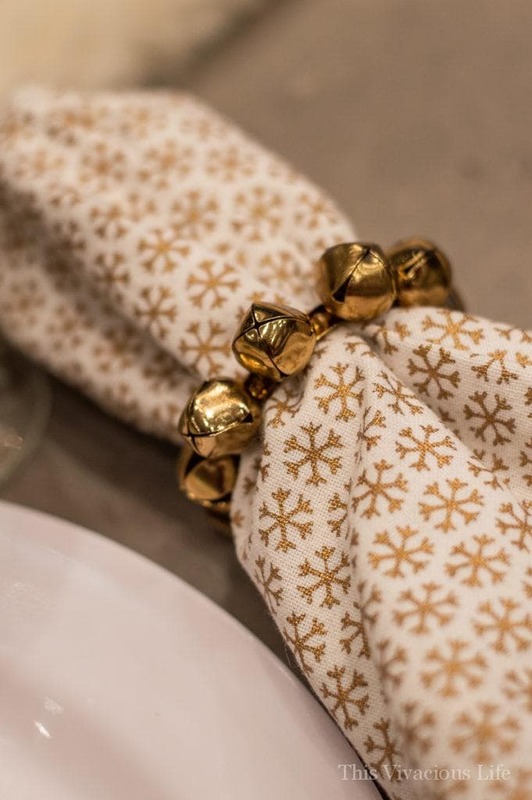 I loved the addition of jingle bell napkin holders especially since it is a Jingle and Mingle party. 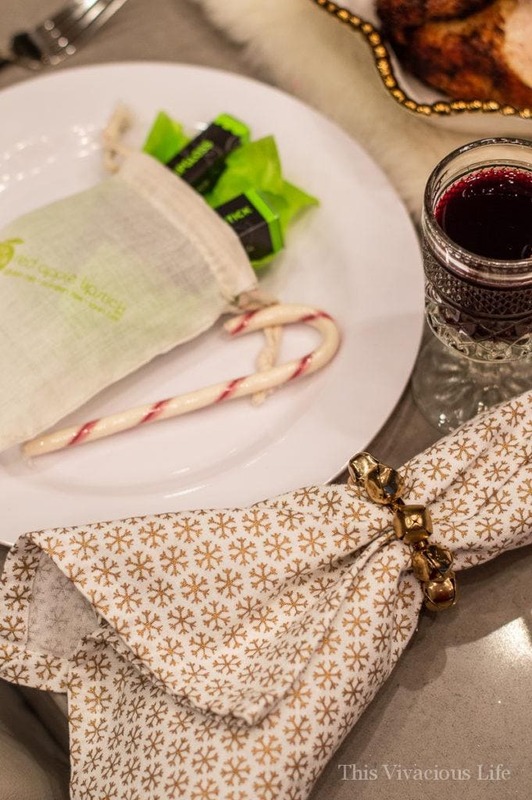 Next to each little gift bag was a pink and cream candy cane. It helped it stay more holiday themed but with our colors. 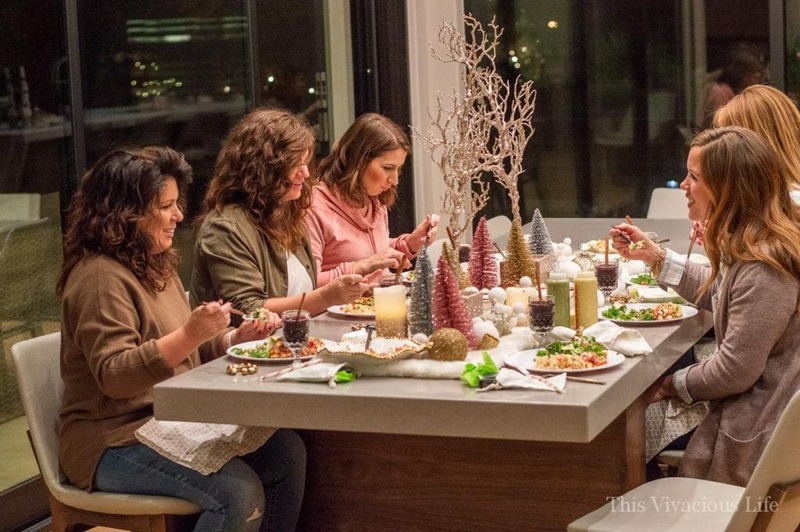 The bottle brush trees in a variety of colors gave height and texture to the table. 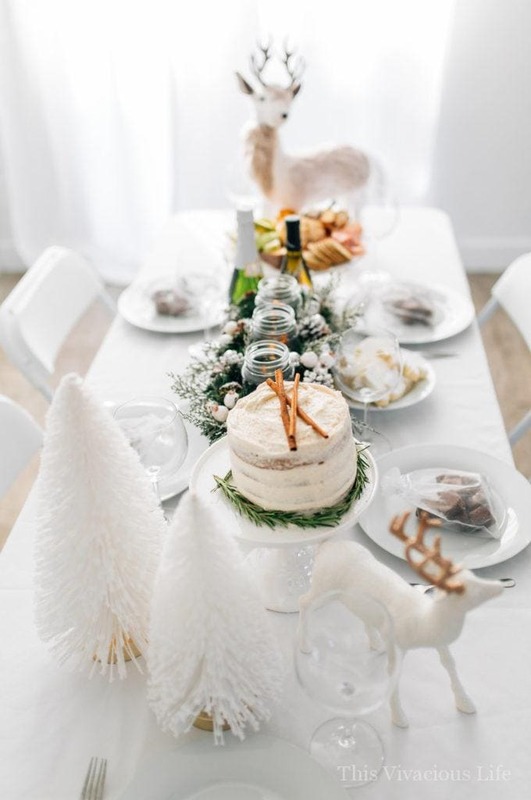 The white fur table runner also gave it a snowy effect. 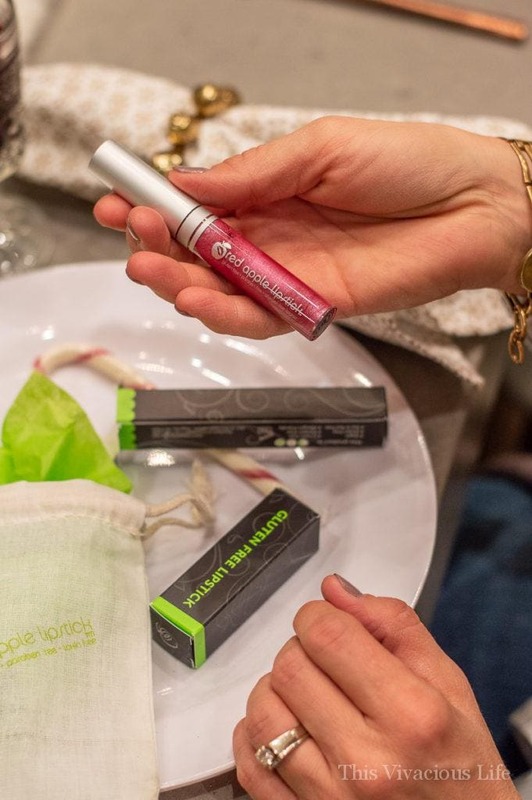 The girls were so excited about their little Red Apple Lipstick favor. Each canvas bag had a lipstick and gloss in our colors. I love using these products on my lips because they are so beautiful and the quality is fantastic. Did you know that the average woman eats over 5 lbs. of lipstick in her life?! That’s why gluten-free cosmetics are super important for those who must live gluten-free or have celiac disease like I do. They are also cruelty-free and vegan. In addition to lipstick and gloss, they also have the best assortment of eyeshadows, blush and a great mascara! For dinner we served up my favorite dinner from Viva Chicken. 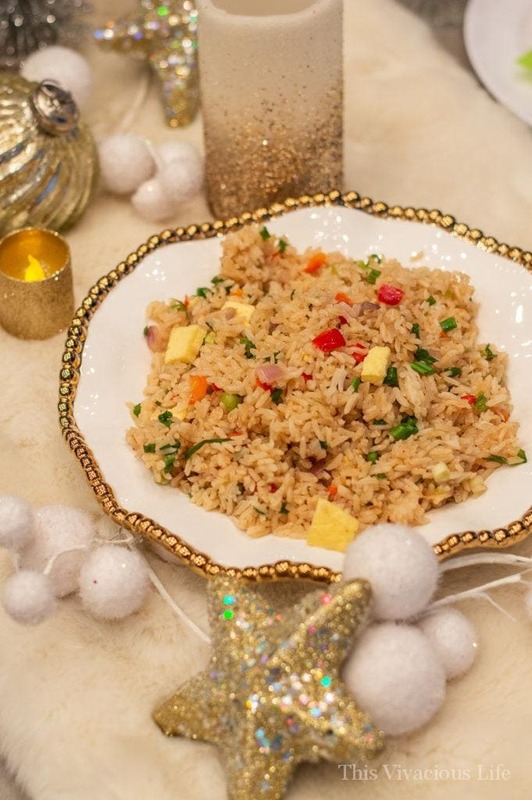 They have the best Peruvian rotisserie chicken, solterito salad and chaufa fried rice! I love using them for catering events because it takes a huge responsibility off of me. When you are the host, it really is important to do what you can and hire out the rest. To jazz up the drinks you serve, like this chica morada from Viva Chicken (which tastes like Christmas in a cup), add whole cinnamon sticks. 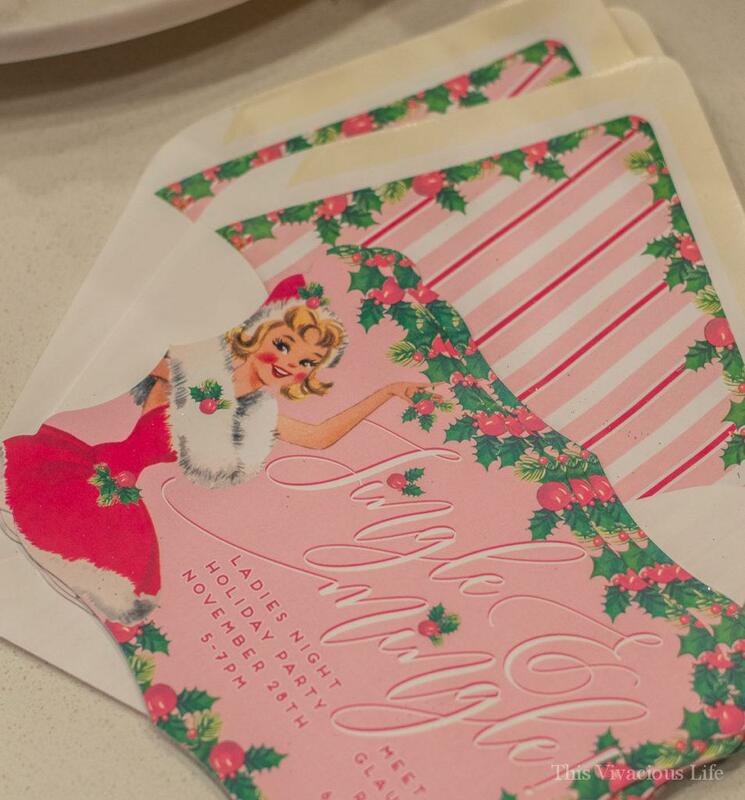 My cute friend Loralee Lewis made up these darling invitations that couldn’t have been more perfect! I love the retro look and that the envelope has detail as well. 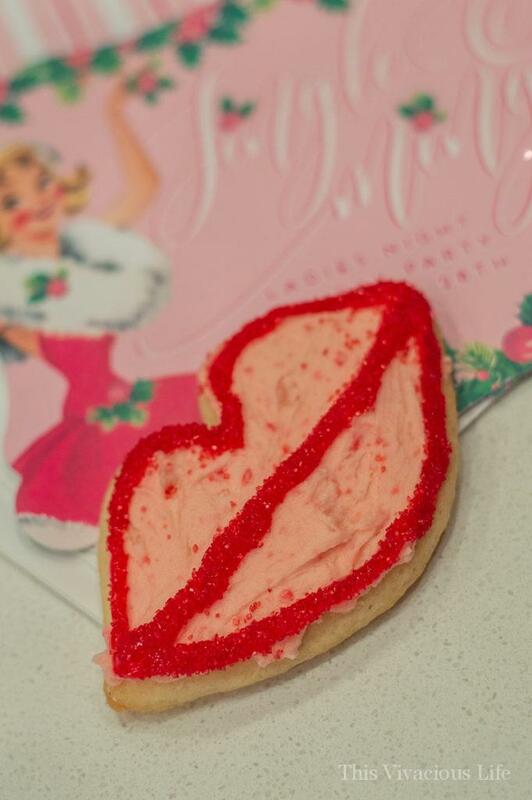 These red hot sugar cookies are both gluten-free and so delicious! Everyone will love how buttery and soft they are and nobody will EVER know they are gluten-free! Because of how buttery and delicious these cookies are, they are a bit more fragile. Just use lots of white rice flour on the surface you are working on as well as on top of the dough when rolling it out. I love the design, great creativity. I like that you used vanilla and almond extract. They sound really good. I like how the guests all dressed comfortably, but also look great. How did you all coordinate that? I like that the recipe uses real butter and powdered sugar. It reminds me of a shortbread recipe that I used to make using regular flour. I can’t wait to try this as a gluten-free option! I like that your recipe has redhot candies! Yum! 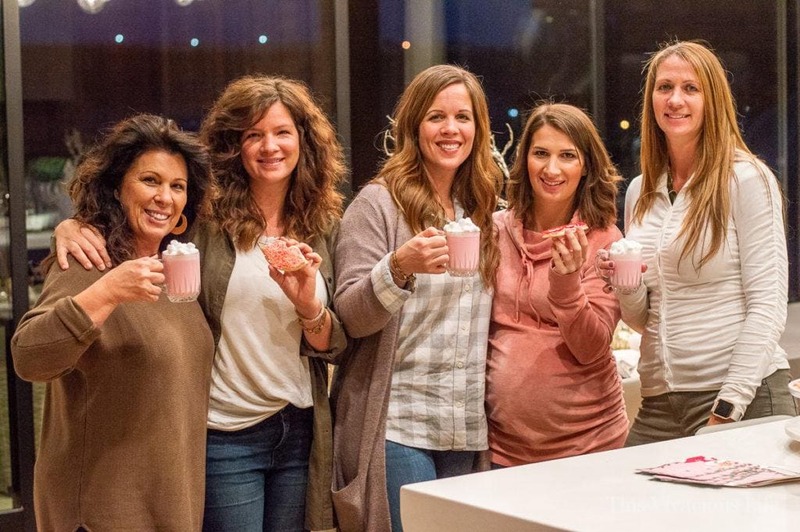 I love that the party was an opportunity for a bunch of friends to get together and have fun. 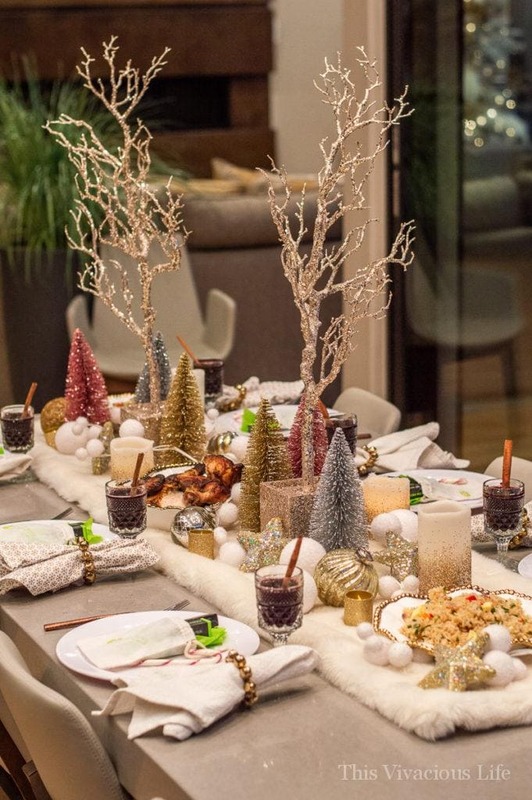 I like the decorations on the table..pretty. 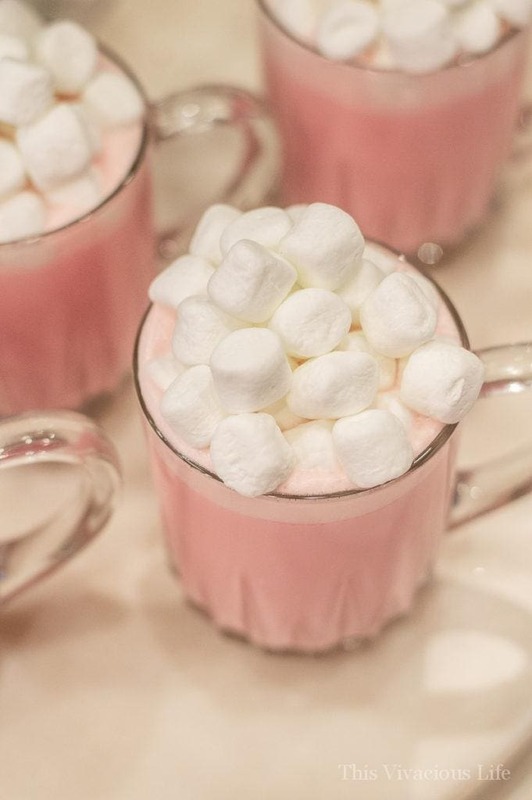 I like the pink cocoa you served. It looked pretty and festive. 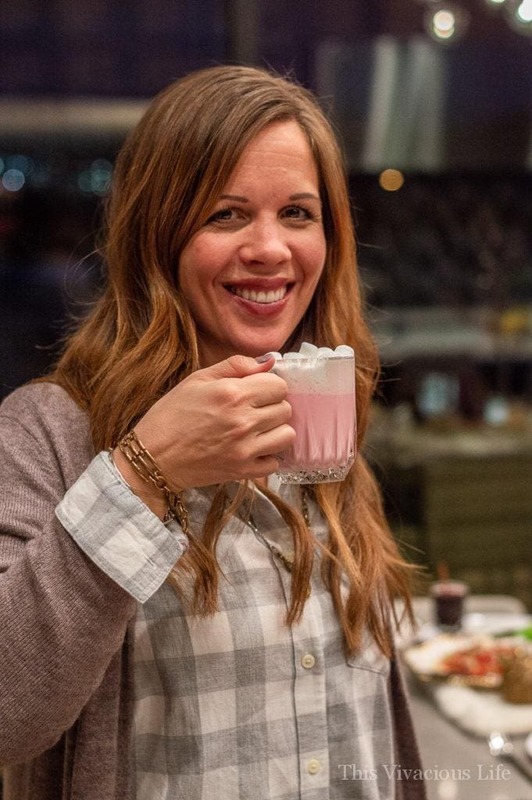 Strawberry Nesquik? Genius. My neighbors’ grandkids will be putty in my hands. 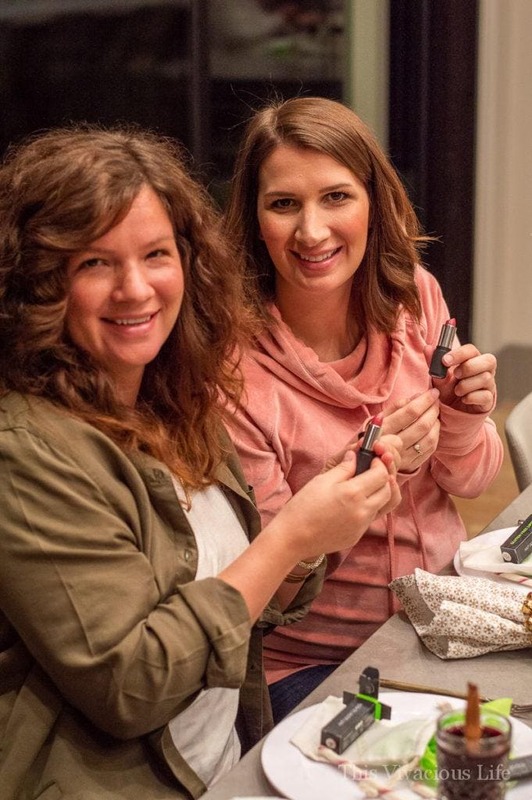 I love having lip cookies for a makeup party! Everything just looks so special. Like an effort was made to make the guests feel appreciated. And I really want a strawberry steamer. I like the whole thing. 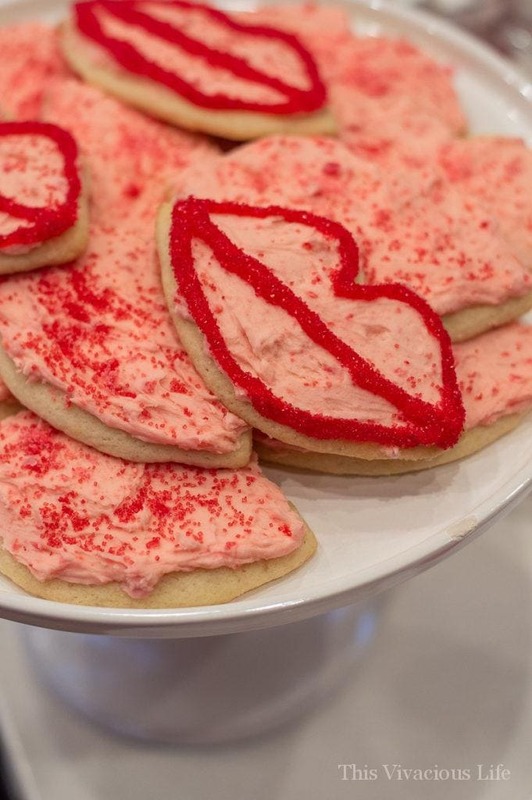 The red hot sugar cookies sound dynamite! 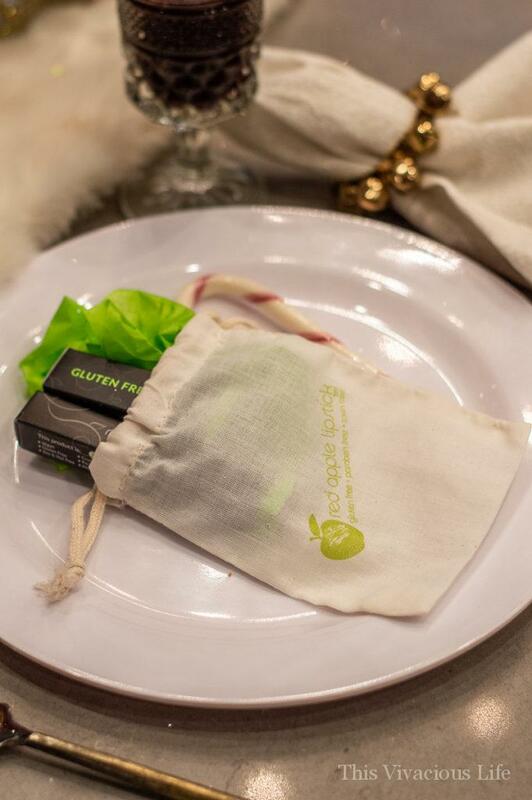 I loved the whole theme of the party, the decorations and the gift bags and lip cookies! Such a fun idea! 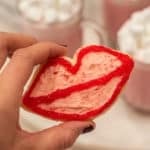 The red hot sugar cookies sound and look amazing and I love everything about this party!